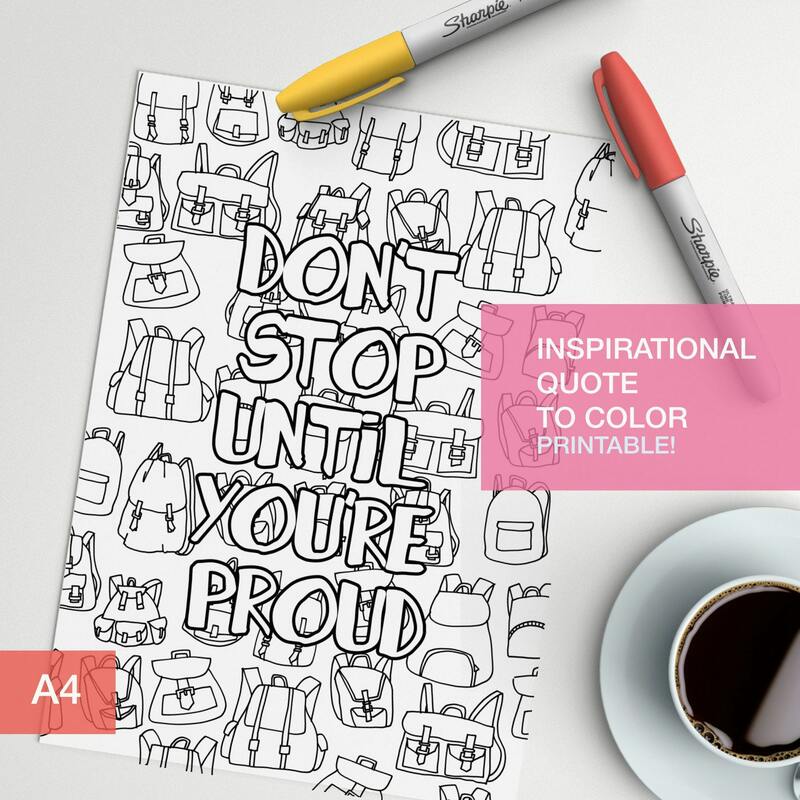 Adult color book inspirational quote "don't stop until you're proud". Make your own inspirational art! !